When I evolved from a political writer to a revolutionary writer, I knew at once that the tide had borne me. Today, nothing else matters. What I dream of, think of, prognosticate is a nation South-East and South-South can call their own. What our governors are doing, or will do is not my concern anymore, for I know they are all functioning in a very faulty template. Nigeria is an expired drug, for she cannot cure those for which she was fabricated anymore. Of course, the lies the North used to split the South-East and South-South have run out of use, as we are working very hard to rediscover ourselves. I have seen landmark achievements in so short a time. Nowadays, groups that promote Biafra spring up here and there. I was taken aback when I saw RIVERS IGBO GROUP on facebook. This group was created by people in Rivers State who understand their linguistic ties are not coincidences. For these, I think, their history, if well traced, leads back to the East. I don't know the people that created this group, but what I know is that it shows how the Biafra spirit has permeated the South-South. Nigeria has expired and people are beginning to keep their baseless differences aside in pursuit of the creation of a functional nation. What are you waiting for? Join the Biafra train, for its Constitution is wonderful, and its system of government is such that you can leave at will - CONFEDERATION. The creation of IJAW BIAFRA GROUP is the last straw that broke the camel's back. 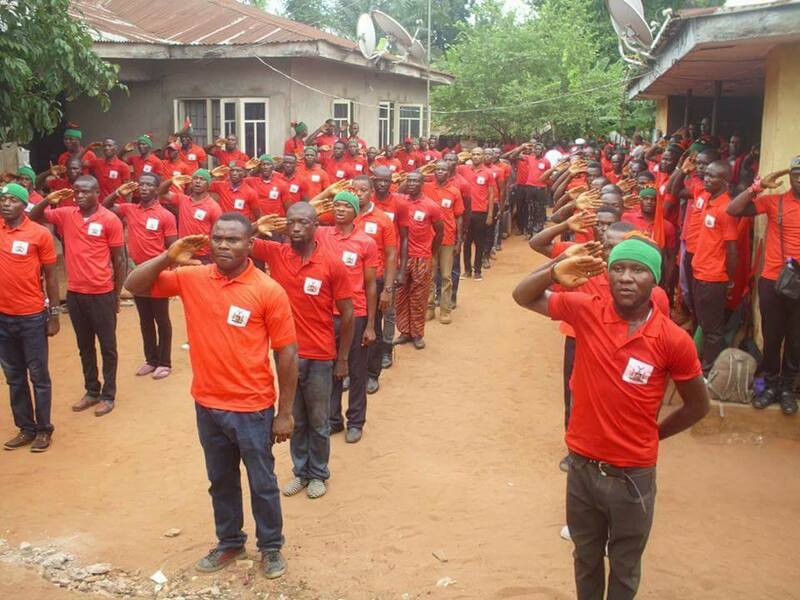 I had no inkling that an Ijaw group that supports Biafra would sprout so fast. This is a tremendous achievement. The tentacles of Biafra are far-reaching indeed. These alignments and re-alignments bespeak one thing, to wit: Biafra is an unstoppable force. The most interesting part of it all is that I am always an automatic member of these groups. Is there any group on facebook that I am not member of? Sometimes I just wonder. The doubting Thomases know better now. The proposed CONSTITUTION and CONFEDERATE system of government have become the magnetic force bringing the disunited people together. These indices show that the northernized Nigeria is losing its grip on the South-East and South-South. We are clearly forging a nation where each confederate will be in charge of its resources and security. Let us go at once! Let us leave now that the West and North are having a free for all over Osinbajo and Buhari. It is time to leave them. Permit me to say a word or two about the unconfirmed Bayelsa incident. I cannot authenticate the report, but I know pretty well that whatever allegedly took place in Bayelsa State was both political and diversionary. It was political because we all know that Seriake Dickson, the Governor, is working clandestinely to favour the North for undisclosed political gains. The same man that would have implemented a Grazing Bill, if our own Mama Annkio Briggs had not intervened is ready to do anything. It is also diversionary because it can douse this fire of unity of our regions that has been burning in us. Our common enemy may have used it to keep us apart. But we must be RESOLUTE and FOCUSED. Bayelsa State has a lot of Biafrans who feel connected. We should note that this struggle is not about elders, governors, politicians, but rather about the people. We are the ones who can make it happen, not our corrupt leaders. The leaders are nothing without us. Niger Delta Self Determinism Movement (NDSDM), Lower Niger Congress, Ohaneze Ndigbo, and every other self determinism movement should come together, through dialogue, as IPOB to actualize BIAFRA. We are all troubled, disintegrated, hated, targeted for extermination, and seen and treated as minors. Let us come together. Now is the time. Our unity is what they fear. Let us give them what they fear, for therein lies our freedom. Russell Bluejack is a thinker, a revolutionary writer, a socio-economic and political analyst that writes from Port Harcourt.